In the new episode of Superheroes, Movies & Superhero Movies, the guys discuss Richard Donner’s classic Superman: The Movie. 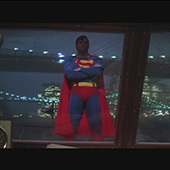 Originally released in 1978, a year after Star Wars, Christopher Reeve flew on to the big screen as the Man of Steel. 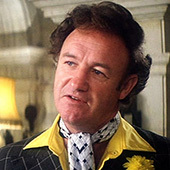 With John Williams’ now iconic score, Gene Hackman as the world’s greatest criminal mastermind Lex Luthor, and Marlon Brando as Superman’s Kryptonian father Jor-El, the world got a fresh, new take on Superman. Much different than the previous television show and theatrical serials aimed at children. This movie made people believe a man could fly. How does it hold up 36 years later? Check it out (all 78 minutes of it!) below and leave a comment with your thoughts, ideas, love/hate for Superman, etc!